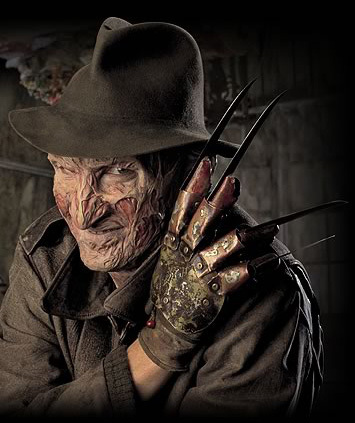 Anyone who is a fan of horror movies such as Friday the 13th and Nightmare on Elm Street should be well familar with Freddy Krueger, the very stuff nightmares are made of. After becoming infamous in the world of horror movies and giving many people sleepless nights he has come back and making a debut appearance in a modern day video game, but he isn’t coming in just ANY video game. He is starring in Mortal Kombat 9, one of the best fighting games of all times as a DLC character available to PlayStation Network / XBOX Live users for a price. Freddy’s Story trailer couldn’t have come any sooner, on the day he is supposed to be available as a DLC character for Mortal Kombat 9 they release his story trailer which tells how he fits in to the storyline of Mortal Kombat 9, also don’t forget to grab your free Klassic Sub-Zero / Retero Sub-Zero costumes for free from your local PSN Store / XBL Marketplace for a limited time only. Apparently Shao Kahn was able to pull Freddy out of the nightmare realm and turn him mortal but for Freddy to go back to his native world would require him defeating Shao Kahn and anyone else who stands in his way. Do leave a comment on who YOU think is the best DLC character right now? My vote goes out to Freddy.